This fall, one of my favorite items is returning to Disney Parks for 2017! The Disney Parks and Resorts Deluxe Attraction Poster Calendar features Disney attraction posters from all corners of the world. This year’s oversized calendar includes posters from classic Disney attractions such as Walt Disney’s Carousel of Progress in Tomorrowland, or Disney destinations like the Disneyland Hotel at the Disneyland Resort. Attractions from Tokyo Disney Resort, Disneyland Paris, and Hong Kong Disneyland are also included. I was particularly excited to see a poster for my all-time favorite 3-D film from Disney Parks, Magic Journeys. The film played in the Magic Eye Theater at the Journey Into Imagination pavilion in Epcot until replaced by Captain EO in 1986. 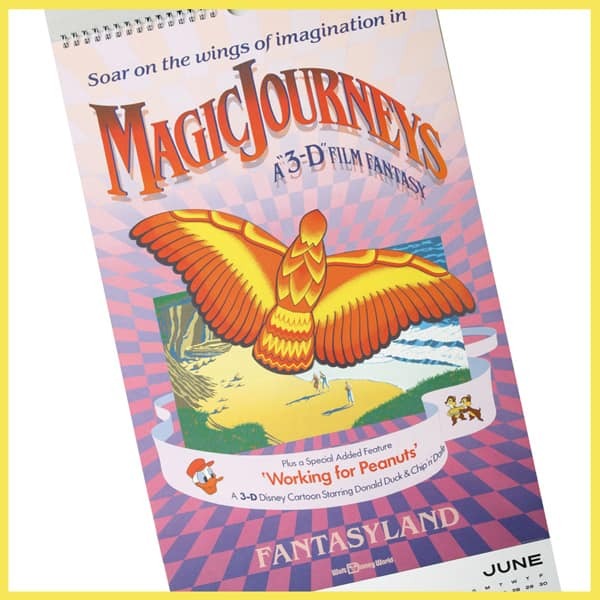 The Magic Journeys poster featured in the calendar was designed by Greg Paul, Norm Inouye, and Mimi Sheean for Walt Disney World Resort. 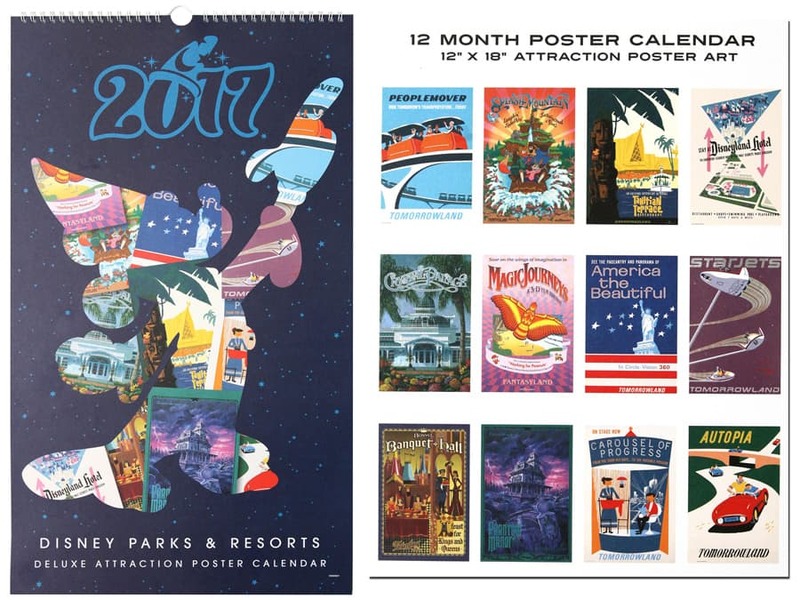 The attraction poster calendars were first introduced in fall 2013, and were inspired by the “Poster Art of Disney Parks” book by Walt Disney Imagineers Vanessa Hunt and Danny Handke. Each poster in this calendar is suitable for display in a standard 12-inch by 18-inch frame. There are perforations above and below each poster for easy removal after its calendar month. The posters are printed on acid-free and lignin-free paper. This calendar will be released in select merchandise locations at Disneyland and Walt Disney World Resorts. Once available, guests may also find the calendar using the Shop Disney Parks mobile app. I’d love to hear which poster is your favorite? Please share in the comments below. Where in disneyland can this be purchased? I think it would be a great gift for my father. He loves the classic art work and for the record, so do I.
I absolutely love these poster calendars and am thrilled that they are returning for 2017! They are a great way to add a magical touch of Disney to any decor. As a child, a day at Disneyland wasn’t complete without going on the Peoplemover, so I’m really happy to see the Peoplemover attraction poster. We will be at Disneyland Resort next week, and I really hope they have them in the shops by then!!! These all have such great history but my favorite of the attractions is the Peoplemover. I don’t think I could choose something else. Love love LOVE the Phantom Manor poster! Super fun. Do you have a specific release date? My wife and I will be visiting Disneyland Resort next week to celebrate our 20 year anniversary. I’ll have to keep an eye out for it. I love the Carousel of Progress and People Mover posters. I am a big fan of Splash Mountain (bummed that it’s under refurb for my trip) so that’s a great one. And I’m excited by the Phantom Manor poster. Very cool. @Chris – The poster recently arrived at Disneyland Resort and should be available in locations soon. 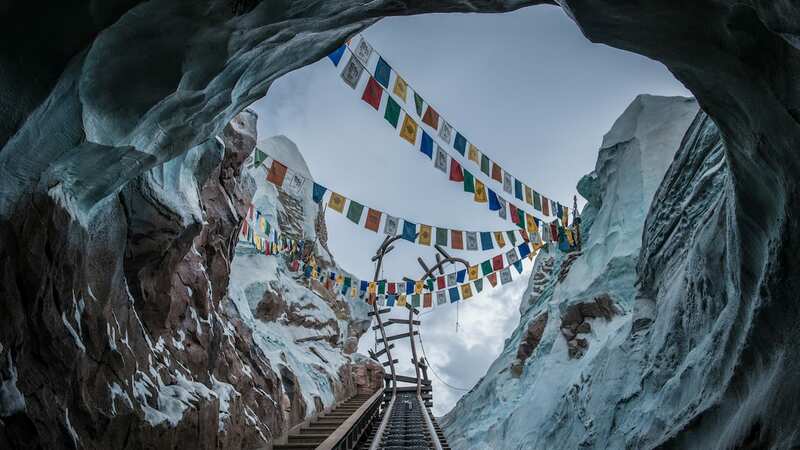 It will be arriving at Walt Disney World Resort in the coming weeks. The item number is 400000654300. Super excited for this! Does anyone know when these will be available on the Shop Disney Parks app? @Andrea – I don’t have a confirmed release date for Shop Disney Parks app. I know the item is coming to Walt Disney World Resort very soon. Item number is 400000654300. 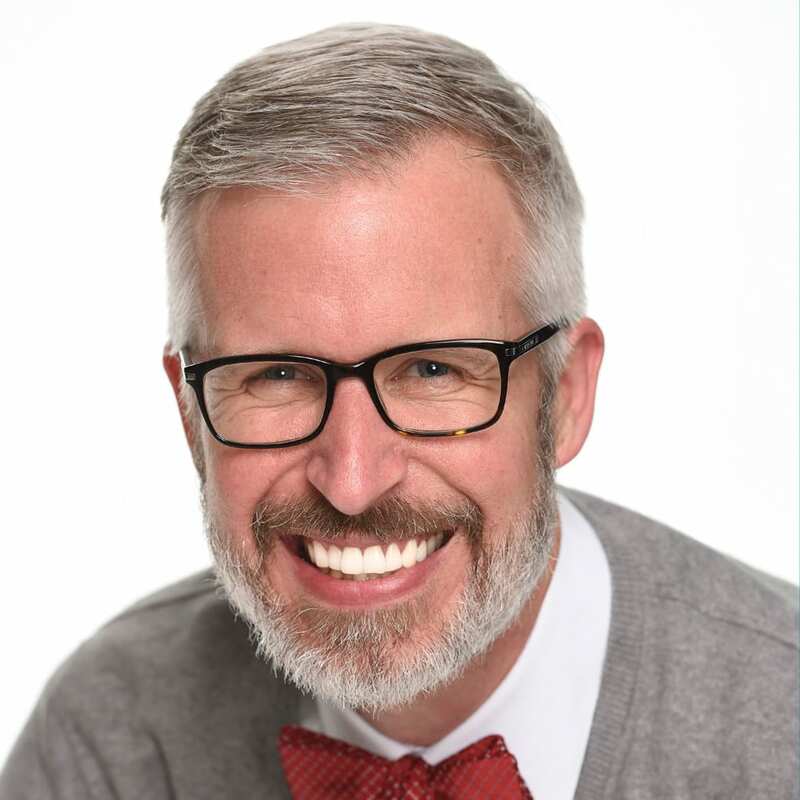 This is great news! I can’t wait to add this to my collection. Any idea when it might hit the parks? As for my favorite, Tahitian Terrace is hard to beat.